The world know very well that fair, free and transparent governance is essential demand and right for all nations without exceptions. The USA, France and Britain are increasingly imposing non-peaceful and military changes to Arab states and to North and West Africa. Gulf Arab states, like Qatar, Saudi Arabia and United Arab Emirates, are instrumental in the western new invasive policy of bringing freedom, justice and democracy to other Arab states like Syria, Egypt and Yemen. The author of this book is the Nobel Prize laureate, Egyptian law scholar and diplomat, and the former Director General of the International Atomic Energy Agency (IAEA) for three successive terms from 1997 to 2009, Mohamed ElBaradei. He declined to avail his services for a further fourth term in the IAEA; and the IAEA Board of Governors was split in its decision regarding the next director general. After several rounds of voting, on July 3, 2009, Mr. Yukiya Amano, Japanese ambassador to the IAEA, was elected as the next IAEA director general. The following book review was written by George Perkovich, Director of the Nuclear Policy Program at the Carnegie Endowment for International Peace and co-editor of “Abolishing Nuclear Weapons: A Debate.” The book review was posted on The Washington Post on 21 April 2011. [Mohamed ElBaradei fought the Bush administration over the war in Iraq, blocked it from attacking Iran, and for his efforts received harassment from American hardliners and, eventually, the Nobel Peace Prize. Now, having retired from the International Atomic Energy Agency, he plans to run for president of Egypt. He has interesting stories to tell, and he tells them with verve. Like other presidential aspirants, ElBaradei places himself in a flattering light and takes the popular side of issues voters care about. But “The Age of Deception” is more than a campaign biography: Written before the recent Egyptian upheaval, it reaches far beyond the politics of Cairo. The struggles ElBaradei waged in Iraq, North Korea, Iran and Libya to shape the international management of nuclear technology represent a central dynamic of the 21st century. Will rule of law trump unilateralism? Can a progressive international order be built when states differ over which rules should be strengthened and how they should be enforced, and when rulers in North Korea, Burma, Syria and Iran reject norms that others respect? ElBaradei’s vivid narrative brings these and other big questions to life. Young Alicia tapped into ElBaradei’s wishful credo in another portion of her letter. “I hope that in the conflict with Iran you are luckier and that things get solved by using dialogue and not through arms,” she wrote. “And that the politicians of the USA accept the opinion of the UN.” But the world is not as nice as 12-year-old girls wish. Some states are ruled through violent repression, and even if their leaders are willing to compromise on some things, they may not accept peaceably the enforcement of international rules they violate, including resolutions of the U.N. Security Council. Iran’s leadership is portrayed as fearful of the United States and very difficult to deal with. Still, ElBaradei insisted that Tehran would significantly constrain nuclear activities that could be used for military purposes if only Washington would take “yes” for an answer. ElBaradei makes no mention of the Iranian strategy revealed by the Khatami government’s chief negotiator, Hassan Rowhani, in a July 2005 interview. Rowhani, an urbane cleric since displaced by President Ahmadinejad, declared, “wherever we accepted suspension” of a nuclear activity, “we thought about another activity.” When Tehran suspended work on uranium enrichment at Natanz, it “put all of [its] efforts” into uranium conversion at Esfahan. This stall-and-advance, bait-and-switch approach continues today. ElBaradei offers no insight into what can and should be done when unaccountable leaders refuse to accede to the requirements of the IAEA or the U.N. Nor does he address the possibility that despotic regimes cling to nuclear-weapons capability to protect their rule against domestic and foreign pressures for change. The high-minded dialogue ElBaradei repeatedly calls for is not always sufficient, leaving the reader to wonder what then? Certainly, the United States should be more committed and supple in its diplomacy. Washington needs to realize that the states it fears are even more fearful of its power and judgment. But that is far from sufficient to solve the tough nuclear cases. President Obama, despite his Nobel credentials, has been unable to resolve the nuclear impasse in North Korea and Iran, or to persuade France, Russia, China, Pakistan and others to join him in moving towards a world without nuclear weapons. According to Wikileaks Cables as posted at Al-Akhbar English it is clear that bringing democracy and human rights are the convenient way for the USA for selective regime change. This is done in the Arab region where the major rich partners of the USA are neither democratic in any way, nor even recognizing many basic human rights. The World must define exactly what the US administrations mean by “Diplomacy”, “Democracy”, “Human Rights” and “Foreign Policy”. These values are great but the USA must adhere to decent laws and acceptable code of conduct. The USA must not make immoral shortcuts to achieve their real goals; or pretend to serve these principles while actually peoples are being used and their ambitions are exploited, including the Americans. Over the past six months, SARG security agents have increasingly questioned civil society and human rights activists about U.S. programming in Syria and the region, including U.S. Speaker and MEPI initiatives. Over the past six months, civil society and human rights activists questioned by SARG security have told us interrogators asked specifically about their connections to the U.S. Embassy and the State Department. XXXXXXXXXXXX questioned about MEPI-funded Democracy Council activities as well as visiting State Department officials. It is unclear to what extent SARG intelligence services understand how USG money enters Syria and through which proxy organizations. What is clear, however, is that security agents are increasingly focused on this issue when they interrogate human rights and civil society activists. The information agents are able to frame their questions with more and more specific information and names. XXXXXXXXXXXX suggest the SARG has keyed in on MEPI operations in particular. Except for the Netherlands’ public stalling of the EU Association Agreement over human rights, Syrian activists have heard little in the way of support from the international community. The Muslim Brotherhood (MB) in Syria Website published a “letter” on June 11 accusing external Damascus Declaration committees of violating the Damascus Declaration National Council’s bylaws on electing members to the General Secretariat. XXXXXXXXXXXX and explained the Muslim Brotherhood’s protest stemmed from the external Damascus Declaration committees’ failure to coordinate with the MB in setting up the external political structures meant to compliment the Damascus Declaration’s internal structures. The rancor expressed in the MB’s letter suggested a growing fissure between expatriate Damascus Declaration representatives, especially between the MB and the small, but politically connected and increasingly active Movement for Justice and Development (MJD). More worrisome, however, is recent information suggesting the SARG may already have penetrated the MJD and learned about sensitive USG programs in Syria. Since 2005, internal squabbles among political parties signatory to the Damascus Declaration have stalled, but never obstructed, the organization’s forward progress. Disputes ranged from how vocal the organization should be in condemning U.S. policies in the region (ref A) to whether the Damascus Declaration should distance itself from the MB. Nasserists and nationalists of varying stripes, especially those in the Arab Socialist Democratic Party, whose participation in the Damascus Declaration was permitted by the SARG as a wedge to create division among reformist ranks, proved especially adamant in their rejection of the MB. The Nasserists, XXXXXXXXXXXX told us, insisted the MB’s involvement provoked the SARG; for the Damascus Declaration to continue safely, MB participation would have to be jettisoned. Since 2008, expatriates have formed Damascus Declaration committees throughout Europe and the United States. Initially, XXXXXXXXXXXX remarked, little coordination existed among the nascent “external committees” in the U.S., Britain, Belgium, France, and Germany. The MB, despite having a developed network in Europe and being signatory to the original Declaration, was left on the margin. The MB did not comment on the formation of the committees, nor was the MB’s input sought by those putting the committees together, XXXXXXXXXXXX said. XXXXXXXXXXXX added that the purpose of these committees was to put in place a temporary, seven person panel that could elect a small number of external representatives to the General Secretariat, an idea consistent with the founders intentions for the General Secretariat’s structure. XXXXXXXXXXXX asked the representative of the London-based Damascus Declaration committee, Anas al-Abdah — who was also the leader of the Movement for Justice and Development, a self-professed moderate Islamic organization (ref B) — to contact the MB and invite them to participate in the formation and elections of the ad hoc political panel. Born not as a political party, but as an umbrella organization composed of many different groups, the Damascus Declaration has been handicapped by internal divisions among unlikely allies: the Kurds, the MB, liberals, national socialists, communists and others. XXXXXXXXXXXX MJD’s organizational successes so far might best be explained as the by-products of its relationship with XXXXXXXXXXXX and the USG. Evidence the organization has a sizable, influential constituency inside and outside Syria is difficult to discern. Post has seen no reporting on the size MJD’s base in Europe and the U.S. XXXXXXXXXXXX; therefore it would not surprise us if an external committee member like Anas Abdah, who heads both the Damascus Declaration’s external London committee and the MJD, would drag his feet when asked to contact the MB. XXXXXXXXXXXX report begs the question of how much and for how long the SARG has known about Democracy Council operations in Syria and, by extension, the MJD’s participation. Reporting in other channels suggest the Syrian Muhabarat may already have penetrated the MJD and is using MJD contacts to track U.S. democracy programming. If the SARG does know, but has chosen not to intervene openly, it raises the possibility that the SARG may be mounting a campaign to entrap democracy activists receiving illegal (under Syrian law) foreign assistance. This cable represents a follow-up to “Re-engaging Syria: Human Rights” (ref A) and outlines ongoing civil society programming in the country, primarily under the auspices of the Bureau of Human Rights and Labor (DRL) and the Middle East Partnership Initiative (MEPI). Both MEPI and DRL fund projects on which Post has varying degrees of visibility. Some programs may be perceived, were they made public, as an attempt to undermine the Asad regime, as opposed to encouraging behavior reform. In an effort to assist any Department level discussions on the SARG’s attitude toward human rights, this cable describes a possible strategy for framing the human rights discussion as an area of “mutual concern” for Syria and the U.S.
As the Syria policy review moves apace, and with the apparent collapse of the primary Syrian external opposition organization, one thing appears increasingly clear: U.S. policy may aim less at fostering “regime change” and more toward encouraging “behavior reform.” If this assumption holds, then a reassessment of current U.S.-sponsored programming that supports anti-SARG factions, both inside and outside Syria, may prove productive as well. The U.S. attempt to politically isolate the SARG raised stumbling blocks to direct Embassy involvement in civil society programming. As a result, the Middle East Partnership Initiative (MEPI) and the Bureau of Human Rights and Labor (DRL) took the lead in identifying and funding civil society and human rights projects. Though the Embassy has had direct input on a few of these efforts, especially with DRL, most of the programming has proceeded without direct Embassy involvement. DRL funded four major Syria-specific programs in the previous fiscal year. The grant recipients were (1) Freedom House, which conducted multiple workshops for a select group of Syrian activists on “strategic non-violence and civic mobilization;” (2) the American Bar Association, which held a conference in Damascus in July and then continued outreach with the goal of implementing legal education programs in Syria through local partners; (3) American University, which has conducted research on Syrian tribal and civil society by inviting shaykhs from six tribes to Beirut for interviews and training; and (4) Internews, which has coordinated with the Arab Women Media Center to support media youth camps for university-aged Syrians in both Amman and Damascus. In addition to these programs, the Embassy provided input on DRL grants awarded to Center for International Private Enterprise (CIPE), International War and Peace Reporting (IWPR), and The International Research and Exchange Board (IREX). Though Post does not directly monitor any of these programs, we have appreciated the opportunity to meet with representatives of CIPE and IWPR. -Democracy Council of California, “Civil Society Strengthening Initiative (CSSI)” (USD 6,300,562, September 1, 2006 – September 30, 2010). “CSSI is a discrete collaborative effort between the Democracy Council and local partners” that has produced XXXXXXXXXXXX “various broadcast concepts” set to air in April. -MEPI has also proposed continued programming for IRI and the CIPE, as well as supporting independent journalists through joint efforts with NEA/PI. Regarding the most sensitive MEPI-sponsored programs in Syria, Post has had limited visibility on specific projects, due in no small measure to SARG-imposed constraints. XXXXXXXXXXXX. Through the intermediary operations of the Movement for Justice and Development (MJD) (ref B), a London-based moderate Islamist group, MEPI routes money XXXXXXXXXXXX. Our understanding is that the aforementioned Democracy Council grant is used for this purpose and passes the MEPI grant money on to the MJD. The SARG would undoubtedly view any U.S. funds going to illegal political groups as tantamount to supporting regime change. This would inevitably include the various expatriate reform organizations operating in Europe and the U.S., most of which have little to no effect on civil society or human rights in Syria. The current review of policy toward Syria offers the USG an opportunity to reaffirm its commitment to human rights through the strategic and incremental opening of dialogue between the two countries. The core issues facing a human rights strategy for Syria are (1) how best to advise the SARG that its tolerating dissent will be a key issue as our bilateral relationship moves forward; and (2) how to bring our U.S.-sponsored civil society and human rights programming into line a less confrontational bilateral relationship. Conversations between U.S. and SARG officials have examined the parameters of what might constitute a “common interest” between the two countries, “shared concerns” upon which to center future bilateral discourse and achieve concrete results. This strategy might prove equally effective in raising human rights with the SARG by clearly articulating how recognizable and sustained behavior change in relation to human rights would enhance SARG’s image, which currently represents a stumbling block to advancing bilateral relations. In the past, both the Department and the White House have made public statements condemning the SARG for its human rights record; these statements have not, unfortunately, produced positive results. Visiting Congressional delegations have also made public statements that have not been met with the desired action by the SARG. The SARG reacts defensively to public announcements, so more private channels of communication might reinforce a “common interest” theme, allowing the SARG to act without being perceived as bending under U.S. pressure. Should the current administration wish to send such a message, action on any one of the following five concerns might shift the SARG’s image into a more positive light. (1) The release of specific imprisoned high-profile civil society and human rights activists; (2) credible movement to resolve the citizenship status of stateless Kurds; (3) loosening media restrictions, including Internet censorship; (4) lifting travel bans on Syrian citizens; and (5) following up on promises to establish a “Senate” that would create a legislative space for opposition politicians to work in. The perennial challenge is how to build programming in Syria without drawing SARG scrutiny to Syrian contacts and Embassy personnel. XXXXXXXXXXXX. If our dialogue with Syria on human rights is to succeed, we need to express the desire to work in Syria to strengthen civil society in a non-threatening manner. We also need to ensure that programming here is fully coordinated, that the Embassy has the resources it needs to administer the programs, and that the programs are compliant with U.S. economic sanctions against Syria. While DRL- and MEPI-funded programs have explored new areas where we can achieve results, some of our time-honored programs may also prove to be extremely effective. The attractiveness of U.S. culture is still a powerful engine for change in Syria. It is revealing that when the SARG sought to punish the U.S. for its alleged role in the October 26, 2008 attack in Abu Kamal, they avoided political targets and instead shut down the three main sources of American culture in Damascus: the American Culture Center (ACC), the ALC, and the Damascus Community School. Countering with more cultural programming, more speaker programs, and the IV exchange program remain our best tools for having a direct effect on civil society. To this end, VIPs coming to Syria might be uniquely positioned to request and receive opportunities for addressing public audiences. Here is a typical story of tens of thousands of African refugees seeking survival and better life. It is from an Ethiopian teacher his name is “Abdirizak Mohamed Mohamoud” as it was posted on IRIN (UN Office for the Coordination of Humanitarian Affairs) on 22 November 2011. For all those Africans who are trapped with poverty they must realize that Western and Arab countries, including the USA and European countries are not the solution but they are behind the problems that created Africa and World poverty; corruption; and armed conflicts. Behind every great fortune, there must be a crime, or more. Western and Arab countries devastated Africa before and they are continuing their pillage. Look at Congo; Ghana; Nigeria; Libya; Ivory Coast;…….. and all other African countries. Why there are poverty; conflicts; and corruption? The answer is obvious. It is because Western countries on both sides of the Atlantic and Arab countries are succeeding in getting African best natural and human resources cheap while they sell their products at exorbitant prices for long time. The mineral industry of Africa is one of the largest mineral industries in the world. Africa is the second biggest continent, with 30 million km² of land, which implies large quantities of resources. For many African countries, mineral exploration and production constitute significant parts of their economies and remain keys to future economic growth. Africa is richly endowed with mineral reserves and ranks first or second in quantity of world reserves of bauxite, cobalt, industrial diamond, phosphate rock, platinum-group metals (PGM), vermiculite, and zirconium. Gold mining is Africa’s main mining resource. The Central African Mining and Exploration Company (CAMEC), one of Africa’s primary mining enterprises, is criticized for its unregulated environmental impact and minimal social stewardship. In the Spring of 2009, retired British cricket player Phil Edmonds’ assets were seized by the United Kingdom’s government due to CAMEC’s illicit association with self-appointed Zimbabwean President Robert Mugabe. CAMEC recently sold 95.4% of its shares to the Eurasian Natural Resources Corporation. It is currently under restructuring and is no longer trading under the CAMEC brand. African mineral reserves rank 1st or 2nd for bauxite, cobalt, diamonds, phosphate rocks, platinum-group metals (PGM), vermiculite, and zirconium. Many other minerals are also present in quantity. The 2005 share of world production from African soil is the following : bauxite 9%; aluminium 5%; chromite 44%; cobalt 57%; copper 5%; gold 21%; iron ore 4%; steel 2%; lead (Pb) 3%; manganese 39%; zinc 2%; cement 4%; natural diamond 46%; graphite 2%; phosphate rock 31%; coal 5%; mineral fuels (including coal) & petroleum 13%; uranium 16%. Diamonds: 46% of the world, divided as: Botswana 35%; Congo (Kinshasa) 34%; South Africa 17%; Angola, 8%. Gold: 21% of the world, divided as: South Africa 56%; Ghana, 13%; Tanzania, 10%; and Mali, 8%. Uranium: 16% of the world, divided as: Namibia 46%; Niger 44%; South Africa less than 10%. Bauxite (for aluminium): 9% of the world, divided as: Guinea 95%; Ghana 5%. Steel: 2% of the world, divided as: South Africa 54%; Egypt 32%; Libya 7%; Algeria 6%. Aluminium: 5% of the world, divided as: South Africa 48%; Mozambique 32%; Egypt 14%. Copper (mine/refined): 5%/ of the world, divided as : Zambia 65%/77%; South Africa 15%/19% ; Congo (Kinshasa) 13%/0%; Egypt 0%/3%. Platinum/Palladium: 62% of the world, divided as:South Africa 97%/96%. As for agricultural produce, take Ivory Coast cocoa for example and compare the prices of cocoa and those of chocolates. Or take the prices of cotton and textiles. The same injustices apply in human resources. They get our best minds and labor and Africa gets in return the worst of their people. [Abdirizak Mohamed Mohamoud, 30, returned to his home village of Lafaisa, in the Jijiga zone of eastern Ethiopia, six months ago, after his attempt to reach Europe and a better life turned into an ordeal. He talked to IRIN, as well as a roomful of curious neighbours and friends, about his experiences as a migrant in Libya. “I wasn’t satisfied with life here. I was a teacher, but I wasn’t earning enough to support my family. I had friends who had gone to Libya and then to Italy, but I only got as far as Libya. “I crossed the border of Ethiopia into Sudan; then I crossed the Sahara in a lorry with 160 other people. All of the others were from Somalia – I was the only Ethiopian. One lorry broke down, then another came and took us the rest of the way. “I paid the driver US$1,000 – money I got from all of my family and friends – but when we arrived in Libya, the driver wanted another $1,200 and held all of us hostage in his home on a big farm for two days. “He gave me a cell phone and told me to call my family to get the money. He only got money from 10 individuals, even though he tortured us with electric shocks. I told my mother to send money but before it came, the Libyan police came and arrested all of us, including the driver. “We were taken to a prison in Benghazi where there were about 900 Africans – Nigerians, Somalis, Eritreans and Congolese. After three months we thought we were going to die there. Some were tortured and some tried to kill themselves. We broke out by force, overwhelming the guards, and escaped, but some local people caught me and returned me to the jail. I spent one more month there before they transferred me to a Tripoli prison, where I spent two months. “Then they transferred me again to a place called Katron, near the border with Niger, in the Sahara. I was there for a month with 320 Somali people before we escaped again. I found some people from Chad in Katron and stayed with them for 15 days and called my family to send money. My brother sent $300 to someone he knows in Tripoli, but that money paid only for me to be smuggled from Katron to Tripoli. “I worked as a porter in Tripoli for 18 months, just to save money to get home. I couldn’t sleep at night because I was so afraid of being robbed; the only safe place to sleep was on graves. I managed to save $700 and pooled my savings with 14 friends to pay a smuggler to take us through Niger and into Chad. We left just before the uprising [in Libya] started. “In Chad, people were dying of hunger and UNHCR [the UN Refugee Agency] refused to help us because they were busy helping the local people who were starving. 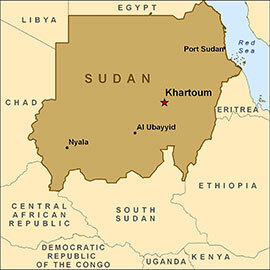 We went on to Darfur in Sudan and UNHCR flew us to Khartoum and then to the Ethiopian border. I was very happy to get home after two years and two months. “By the time I got back, one of my sisters had already left for Saudi [Arabia] to work as a housemaid. If I had got back in time, I would have told her not to go. “I’m an example for my village – if I had succeeded, all the others would have gone. I don’t have a job now, I’m surviving by Allah, but even if I got a visa for Europe or the United States, I wouldn’t go – I’m dying here.”]. Africa is very rich if it can only stop the West and the Arabs from exploiting its resources and undervalue their prices to make themselves filthy rich and enjoy their unsustainable and immoral ways of life.